A Bronx, N.Y., man accused of killing his ex-girlfriend in their home last week took his own life Tuesday, police sources told the New York Post. A passerby found 30-year-old Tyrone Lowe with a single gunshot wound to the head in the back of a Honda minivan parked in front of a bowling alley in the Eastchester section of the Bronx, the Post reports. The gun used, a .38-caliber revolver, was still in his right hand, and three .38-caliber shells and three bullet casings were found near the body, according to the site. Lowe was a suspect in the Dec. 1 killing of Shosane Rattigan, 28. 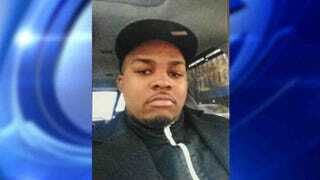 Lowe was accused of shooting Rattigan, the mother of his 6-year-old son, in their Bronx home as the child and Rattigan's 20-year-old nephew were in the next room. Lowe and Rattigan were reportedly having an argument when Lowe pulled out a gun and shot his ex-girlfriend once in the head. The son and nephew found the fatally wounded Rattigan. Lowe had not been seen since the fatal shooting.